Enterprise Fitness Training Series – Poliquin Kettlebells from Watson Gym Equipment At Enterprise Fitness we don’t cut corners. And that’s why we get real results. Learn correct form to get the most from your workouts. 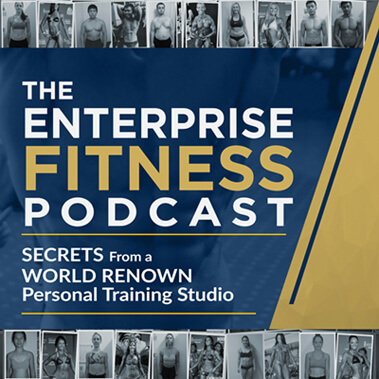 Subscribe to Enterprise Fitness on YouTube to get the latest Training Series uploads. If you would like further information about training with Mark or a member of the Enterprise Fitness team, email [email protected] or call 1300 887 143. Hear what your doctor doesn’t understand, and what most PT’s won’t tell you. Enterprise Fitness Training Series – The Ultimate Bar from Watson Gym Equipment At Enterprise Fitness we don’t cut corners. And that’s why we get real results. Learn correct form to get the most from your workouts. Subscribe to Enterprise Fitness on YouTube to get the latest Training Series uploads. If you would like further information about training with Mark or a member of the Enterprise Fitness team, email [email protected] or call 1300 887 143.